It seems that the wait is finally over. 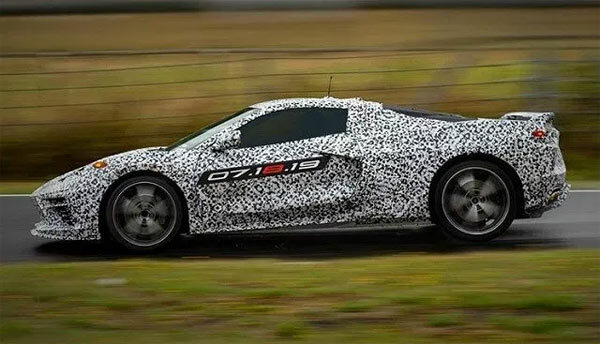 July 18 will be the date to see exactly how the 2020 C8 Chevrolet Corvette will turn out announced this on Instagram week. Also, GM chairperson and CEO Mary Barra along with Tadge Juechter took a prototype to a charity event in New York after the announcement with the car heavily camouflaged, but giving a glimpse into what’s in store. There’s been plenty of speculation as to what this mid-engined C8 version will offer. A supercar positioned mid-engine V8, a naturally aspirated version on the entry-level model and a twin turbocharged version on what is currently being called the C8 Z06. Power levels have yet to be announced, but talk has been around 800HP, with a possible hybrid version developing 1,000HP to all four wheels. Engine wise there could be a base level 6.2-liter V8, with the hybrid version possibly aiming at supercar territory power. There’s also a possibility of a dual clutch automatic transmission, with a possible manual version in the works.